Darry Callahan (b. 1942) graduated from OSU in 1964 with a degree in Chemical Engineering and moved directly into a career at Chevron that spanned some forty years. Over the course of that time, Callahan worked as a research engineer, financial analyst, manager and executive. At one time the president of Chevron Oil Bahamas, Callahan also served as the chief executive at Chevron Chemical Company as well as the succeeding company that he helped to merge, Chevron Phillips Chemical. 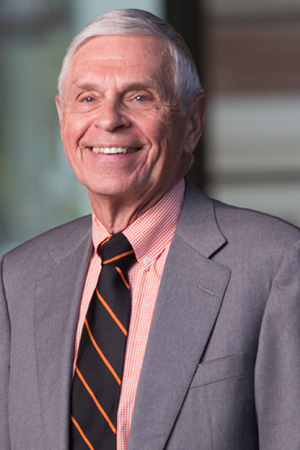 Callahan has also been very actively involved with the OSU Foundation, the OSU College of Engineering, and the OSU Board of Trustees, of which he has been a member and vice chairman since its creation. His interview focuses on his undergraduate years in Corvallis, his long and varied career at Chevron, and his more recent activities with his alma mater.